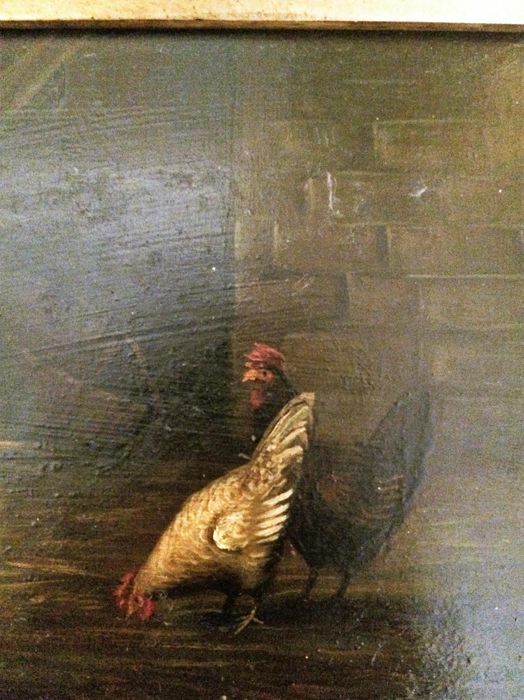 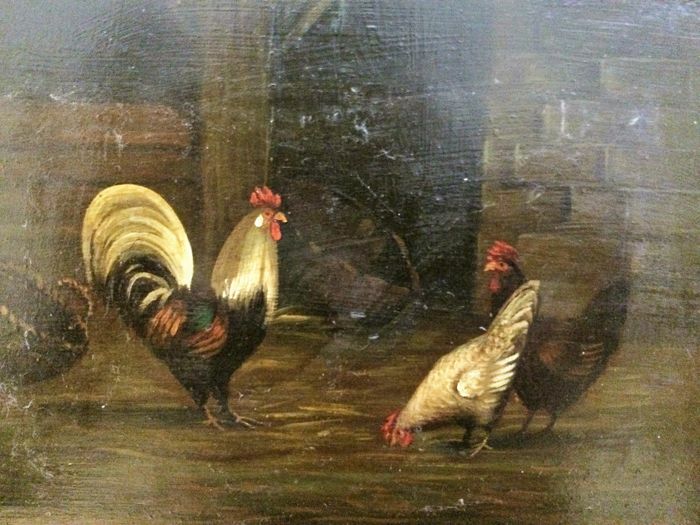 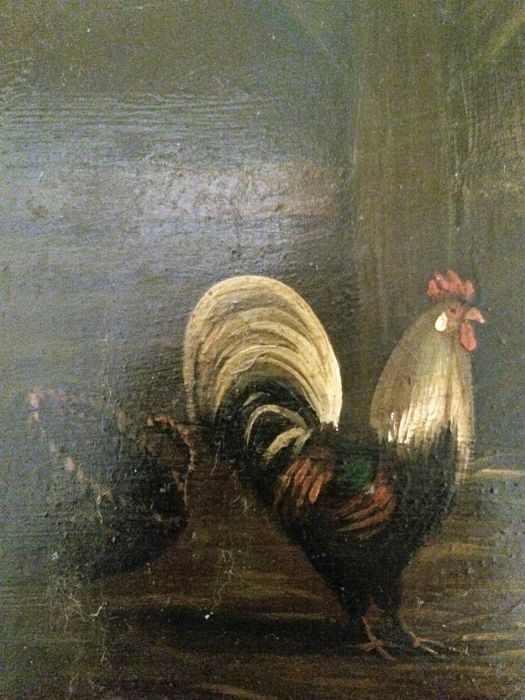 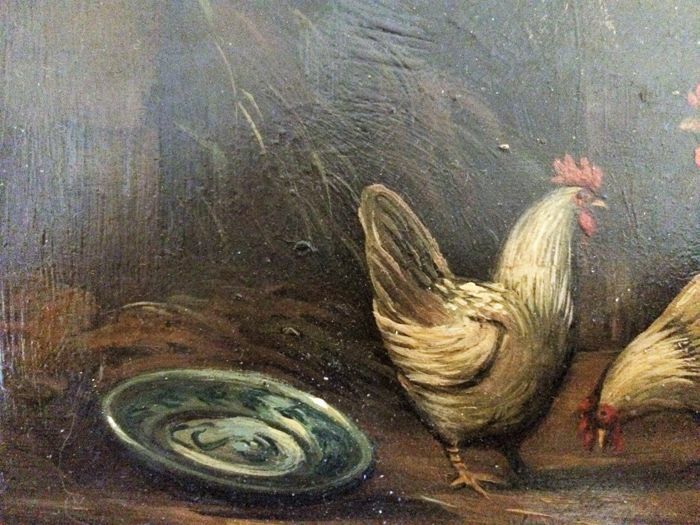 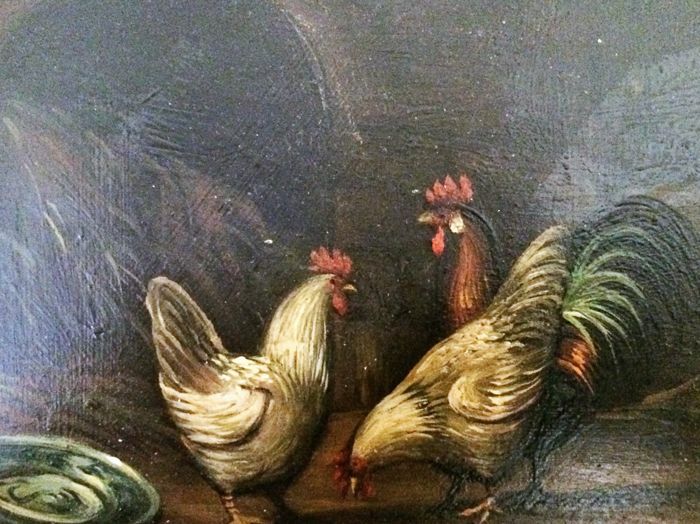 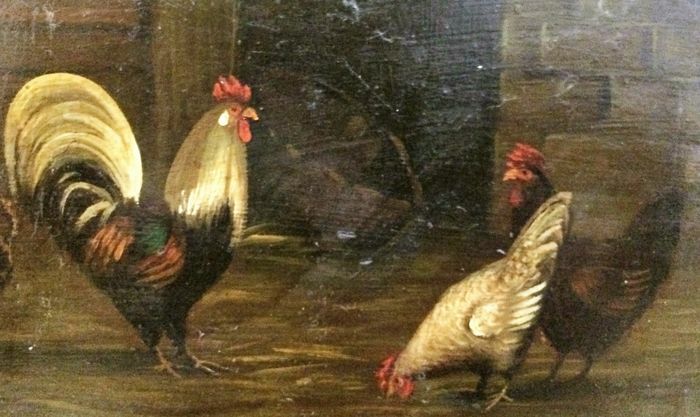 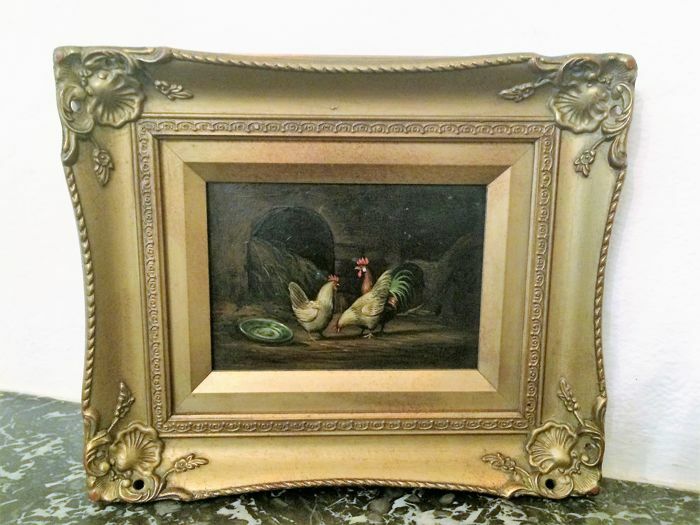 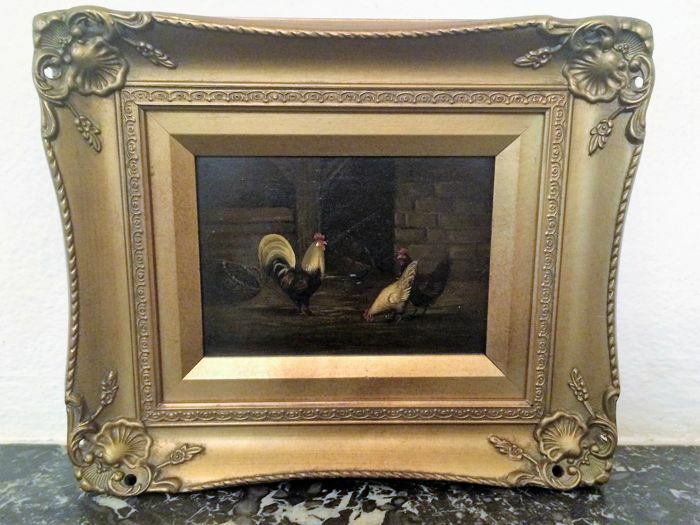 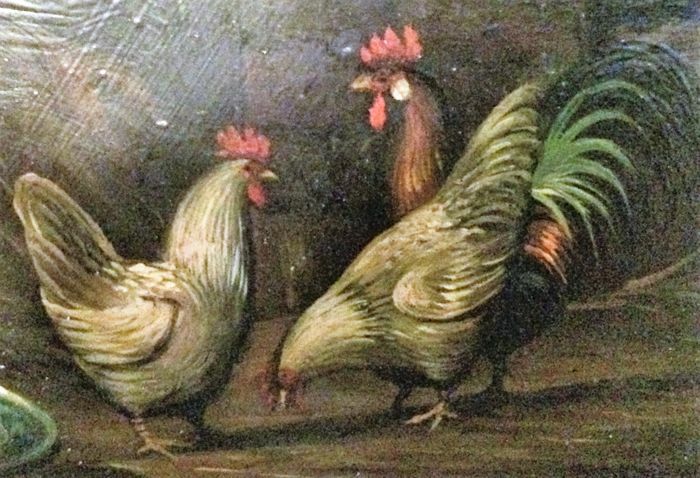 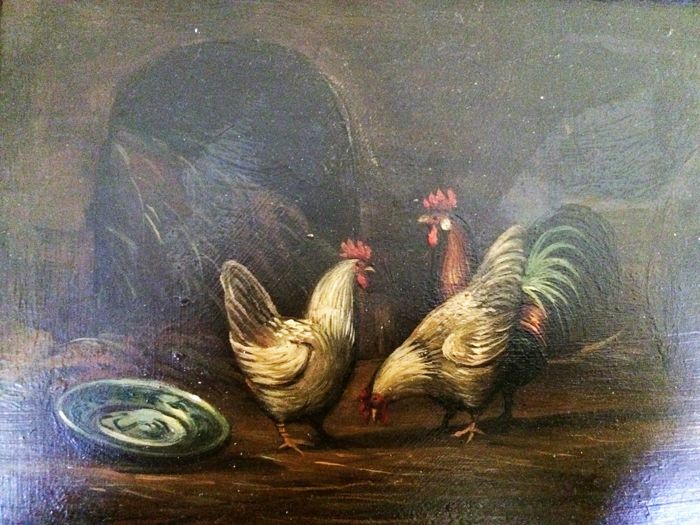 A pendant of 2 paintings "Haan met kippen", on which in both cases a perky rooster who watches over his two grains of pecking chickens. 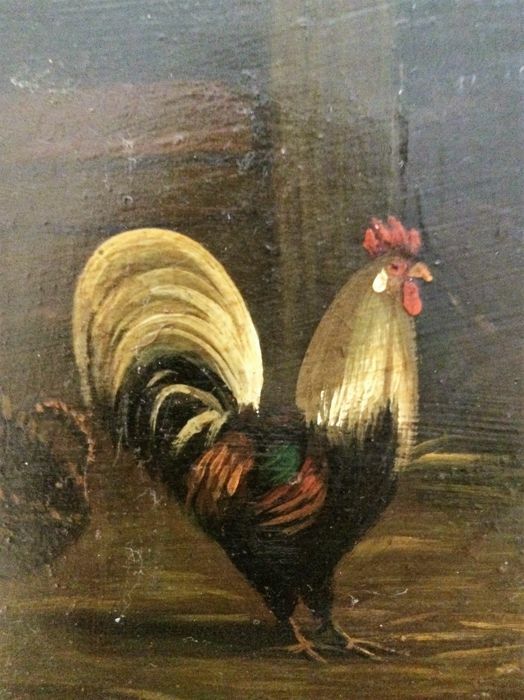 Estimated to be from the mid 20th century. 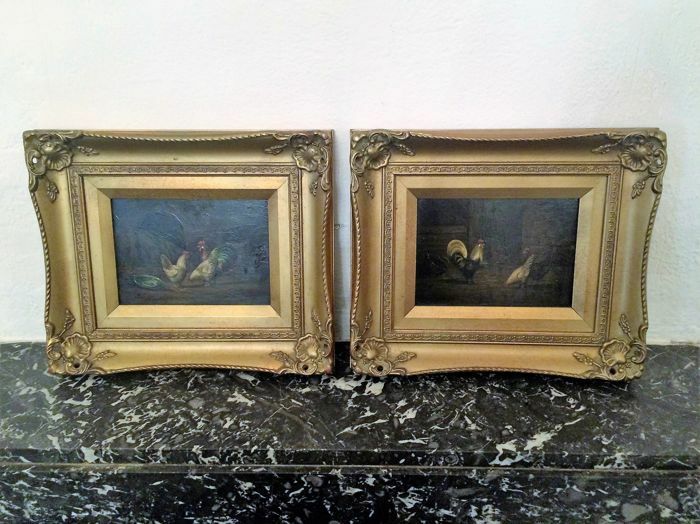 One of the two works (the left on the first photo) is unclearly signed at the bottom left. 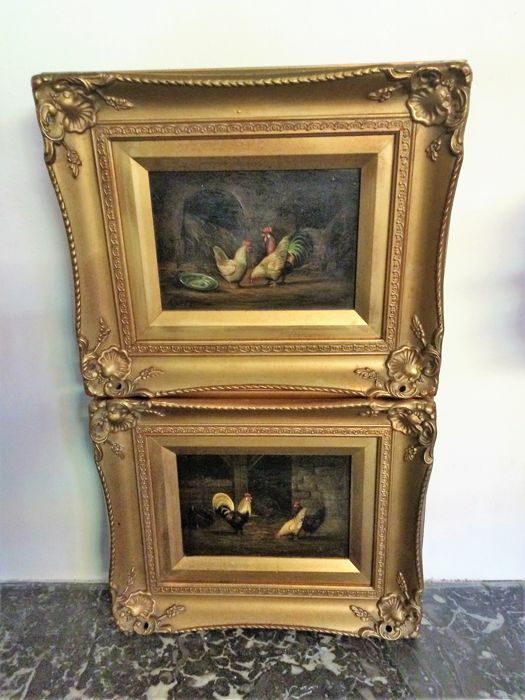 Both works on panel are fitted in identical, richly decorated, gilded frames. 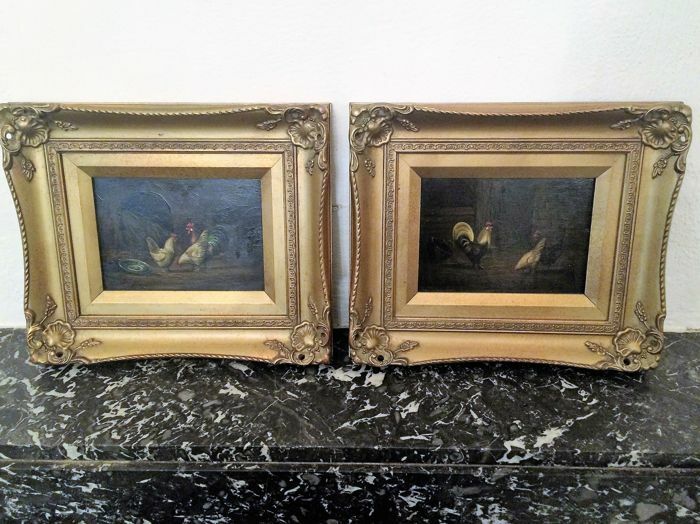 Both the frames as the panels are in good condition. 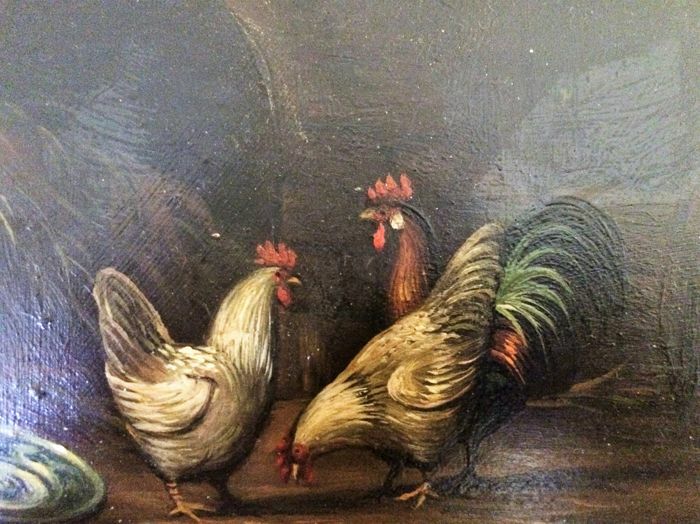 The photos are part of the description of the lot. 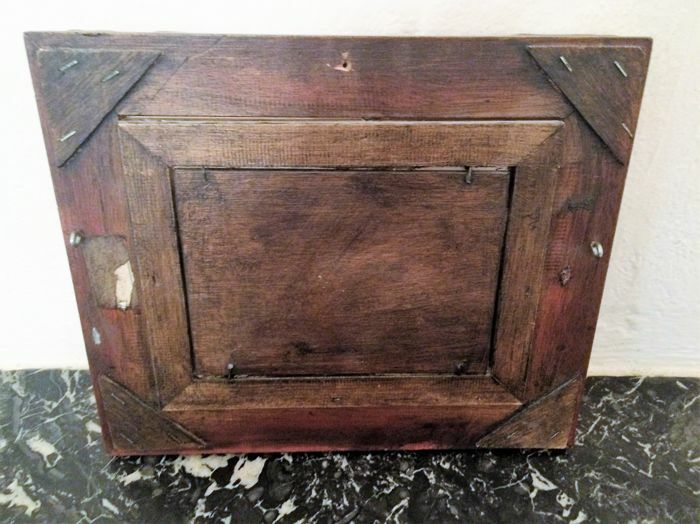 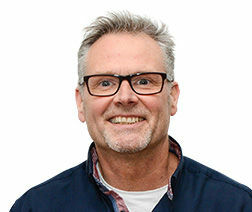 Will be packaged well and shipped by registered mail by PostNL.